You've heard this hundreds of times before, but it's still true and it's still important: The foods you eat on a daily basis will make a big difference in your future. Eating well not only helps you maintain a healthy weight - it can also help you stave off a number of chronic conditions, like heart disease, diabetes, and cancer. Knowing what foods to eat (hint: lots of plants!) is crucial. Knowing what foods to avoid matters, too. So INSIDER interviewed Tom Rifai, and Mark Liponis - two doctors who specialise in using lifestyle habits to prevent and treat chronic disease - to ask about what foods they avoid in their own lives. They're not saying they never eat the foods on this list (because what's life without a little pizza now and again? ), but they have curbed their intake of certain foods in the name of long-term wellness. Rifai, regional medical director of Metabolic Health and Weight Management at the Henry Ford Health System and member of the True Health Initiative, told INSIDER that he grew up eating quarter pounders and Triple Whoppers - but times have changed. "Red meat is not something I totally avoid, but I have dramatically cut it down," he said. Red meat is packed with protein, but it's also rich in saturated fat - the kind that raises "bad" LDL cholesterol. And research shows that habitually eating red meat can increase the chance of dying from heart disease. Liponis, the chief medical officer at Canyon Ranch in Lenox, Massachusetts and author of Ultralongevity, added that red meat has negative environmental impacts, too. "The energy required to turn grass into meat is a high cost for our globe," he said. Both Rifai and Liponis said they avoid processed meats like hot dogs, bologna, sausage, and bacon. For one, they tend to contain lots of saturated fat and sodium. (Eating too much of the latter, of course, can make your blood pressure creep higher and higher.) But they also have scary implications for your health. "I stay away from processed meats but mainly because of their link with cancer," Liponis said. "They've been linked with more bowel cancers and maybe bladder cancers." "Refined grains are something I really try to limit," Rifai said. "[But] we live in amber waves of refined grains, so it's hard to totally avoid." This category includes white bread, white rice, anything made with white flour (cake, pastries, cookies), pasta, breakfast cereals - stuff that floods almost every aisle of the grocery store. The problem is that process of refining grains removes much of their fiber and nutritional value. You're better off eating whole grains: Research shows diets high in whole grains (rather than refined ones) lower "bad" cholesterol and may slash diabetes risk. You've probably heard that grapefruit juice can mess with certain medications, including statins, blood pressure reducers, anti-anxiety drugs, and antihistamines. A lot of people steer clear for that reason alone. 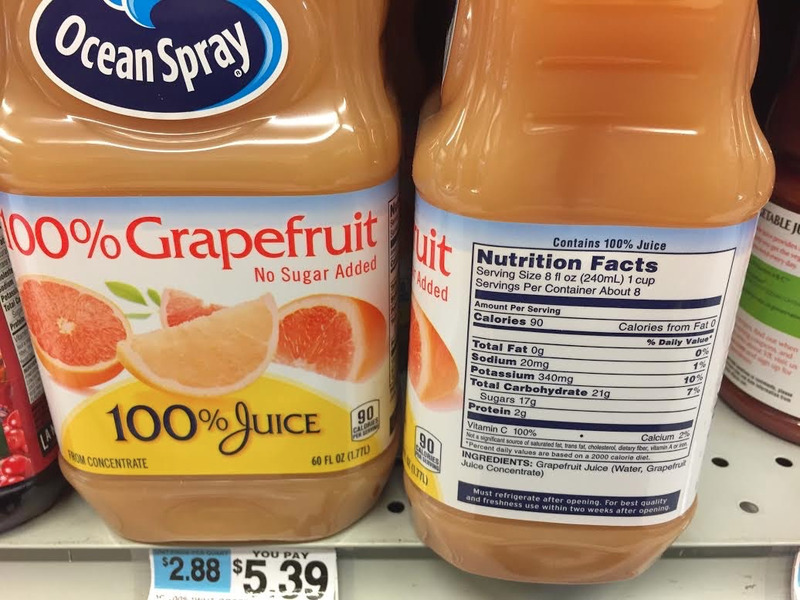 But Liponis has a different reason: "I avoid grapefruit juice because that's the only beverage that's been shown to increase the risk of kidney stones," he said, though scientists aren't sure exactly why. Avoiding sweetened lattes (looking at you, PSL), milkshakes, Frappuccinos, and similar drinks is "a no-brainer," Rifai said. Why? They pack tons of sugar, saturated fat, and calories into a single cup that's all too easy to guzzle down without a second thought. One horrifying example: A venti White Chocolate Mocha Frappuccino contains a staggering 530 calories, 85 grams of sugar, and 11 grams of saturated fat (that's just over half your daily value). Fish is an excellent source of protein and heart-healthy omega-3 fats. Not all fish are created equal, however. "I try to stay away from the fish at the top of the marine food chain. So those would be your tuna, your swordfish, your ahi, your halibut," Liponis said. He explained that larger fish can accumulate higher levels of mercury and other contaminants like PCBs and dioxins - both man-made pollutants that can harm your health in a number of ways. "Trying to eat smaller fish lower on the food chain [...] makes more sense to me," he added. That means salmon, sardines, anchovies, Atlantic mackerel, trout, mussels, and scallops, to name a few. Here's a more in-depth guide to choosing low-mercury fish. 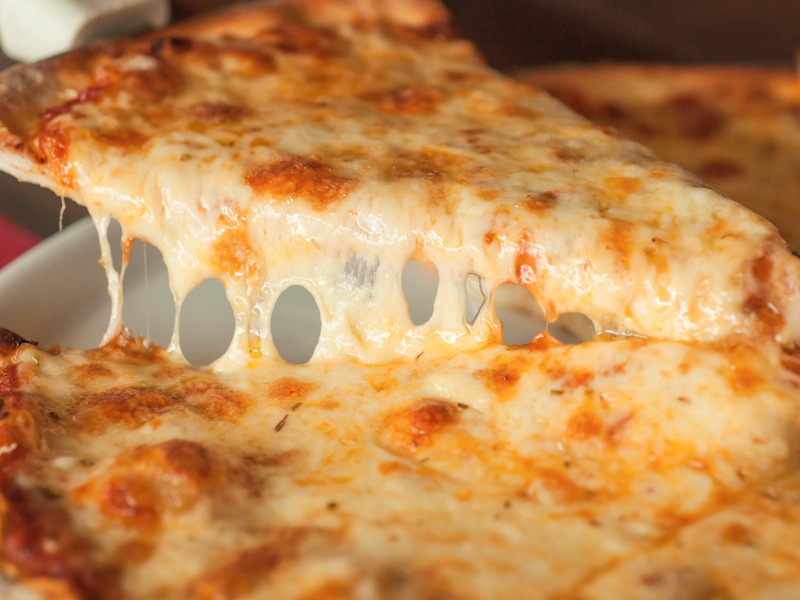 "Cheese is [also] a concentrated source of calories and salt," he added. It's sad but true: A tiny one-ounce serving of cheddar cheese (about the size of 4 dice) packs 115 calories. For comparison's sake, you'd have to eat a whopping 15 cups of romaine lettuce to get the same amount of calories. Rifai said he also limits butter because of its high saturated fat content. 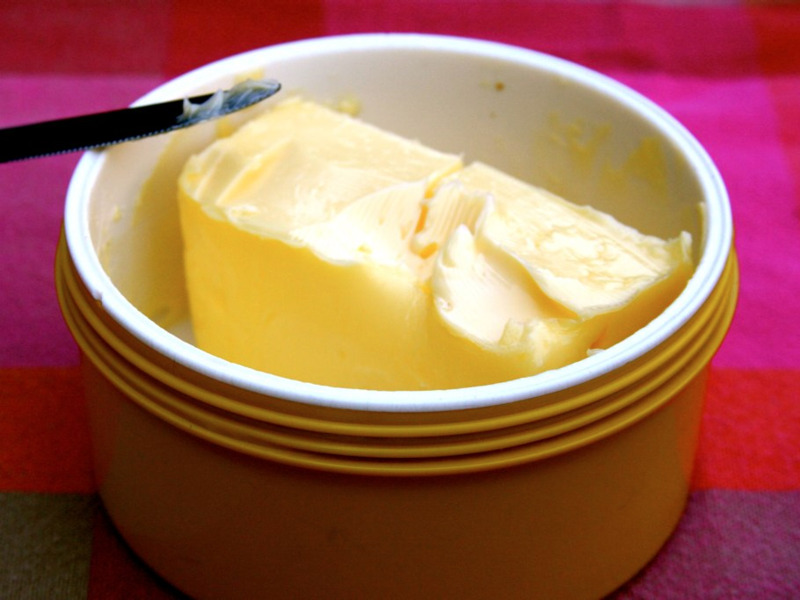 A tablespoon of butter contains about 7 grams of the stuff. But nutrition experts point out that saturated fat is not a major component of any of the world's healthiest diets, and the most recent Dietary Guidelines for Americans still recommends limiting saturated fat to 10 percent of your daily calories - that's about 22 grams if you're on a 2,000 calorie diet. By now, you probably know that eating too much added sugar is linked to a host of terrifying health effects for your teeth, your heart, your waistline, and more. That's why Rifai said he makes a concerted effort to stay away from candy and other sweet treats high in sugar. The American Heart Association recommends that women get no more than 6 teaspoons (24 grams) of added sugar each day. For men, the recommended ceiling is 9 teaspoons (36 grams). "The other things that I try to stay away from are the foods that are cooked under high heat," Liponis said. "That'd be things like french fries and fried foods." That's not only because fried foods are high in calories. Liponis explained that cooking certain foods at high temperatures (mainly potatoes and bread) can create acrylamide, a compound that's considered a "probable" carcinogen by the World Health Organisation. "We don't really know yet how dangerous it is, but it seems to be pretty high in those foods cooked [at] high heat," Liponis added. "Plus, they're not particularly healthy foods to eat anyway." Liponis said he avoids meat cooked at very high temperatures because it can also contain potentially harmful compounds. 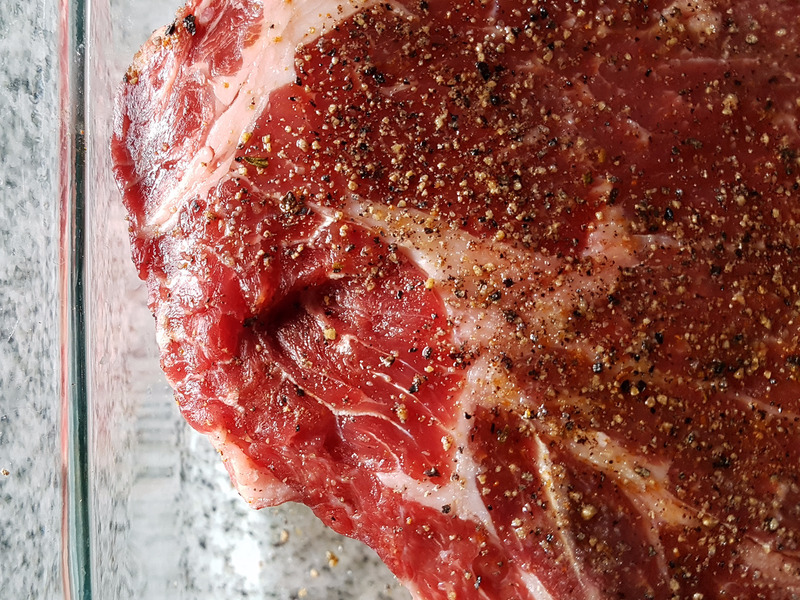 According to the National Cancer Institute, meat that's been pan-fried or grilled over an open flame can form compounds called heterocyclic amines (HCAs) and polycyclic aromatic hydrocarbons (PAHs). In animal studies, these compounds have been shown to cause cancer, albeit at extremely high doses that you wouldn't be able to get through your diet. Still, it's worth noting that human studies have found a link between higher cancer risk and frequent consumption of well-done or fried meat. Liponis said that he hasn't stopped grilling for fear of these compounds - he just tries to cook meats at a lower temperature for longer. "It's got the bread, it's got the cheese, it's got the salt, and it's just a mix of gustatory bliss," Rifai said. "But because of the multi-factorial metabolic mayhem, I really try to limit it." By "mayhem", he means that pizza has a triple whammy of components that don't exactly promote health: Refined grains, salt (a single slice can have 27 percent of your daily value) and saturated fat-rich cheese. But remember: Even doctors indulge every once in a while. "I probably still end up having one or two slices a month," Rifai said.